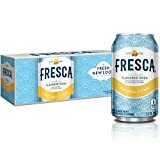 Fresca Soda is a light citrus (grapefruit) tasting no calorie beverage marketed by Coca Cola and has been around since 1963. 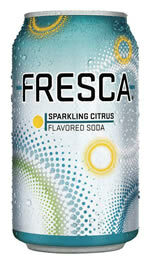 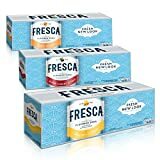 Fresca Soft Drink is also now available in peach citrus and black cherry citrus, which are also caffeine-free. 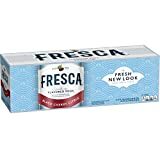 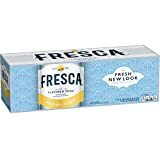 Fresca contains 0.00 mgs of caffeine per fluid ounce (0.00mg/100 ml).